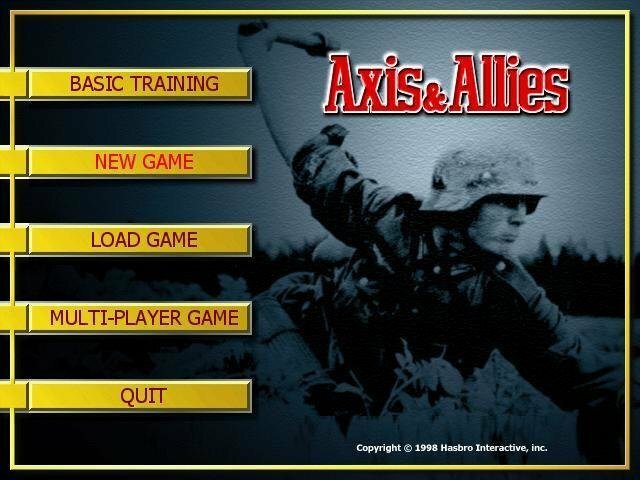 Axis & Allies, the boardgame, is an abstract take on the Second World War. 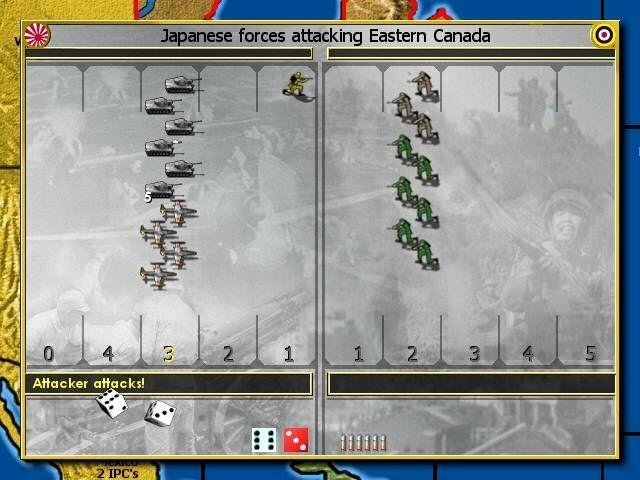 As with the original, this PC version starts up in 1942, shortly after the U.S. has entered the war. 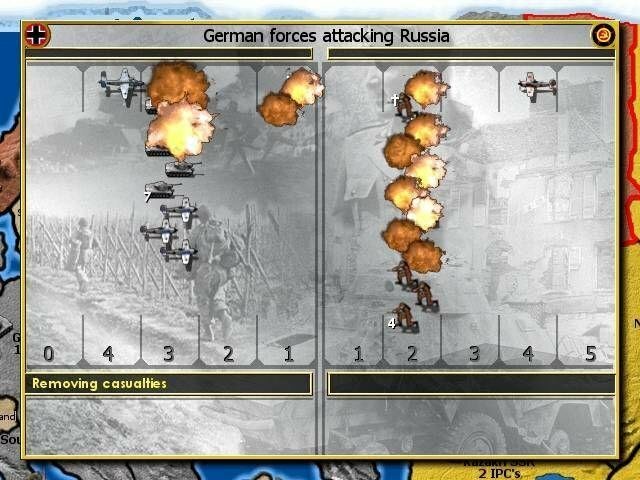 There are five players divided into two sides: the U.S., England, and Soviet Union as the Allies, and Germany and Japan as the Axis. 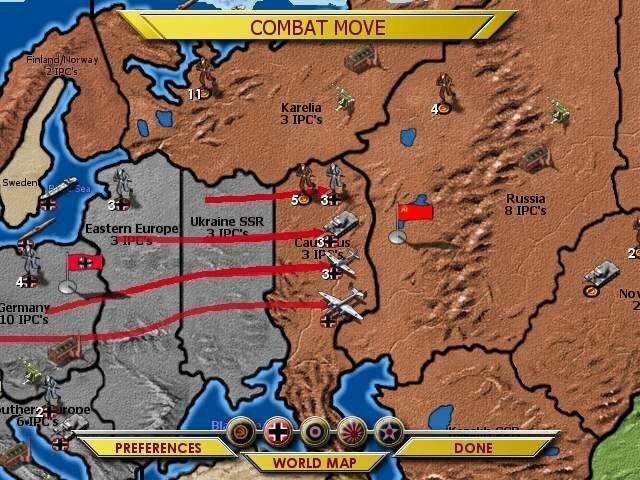 In the single player game you can control all the countries on one side or just take one and rely on the computer to back you up (good luck). 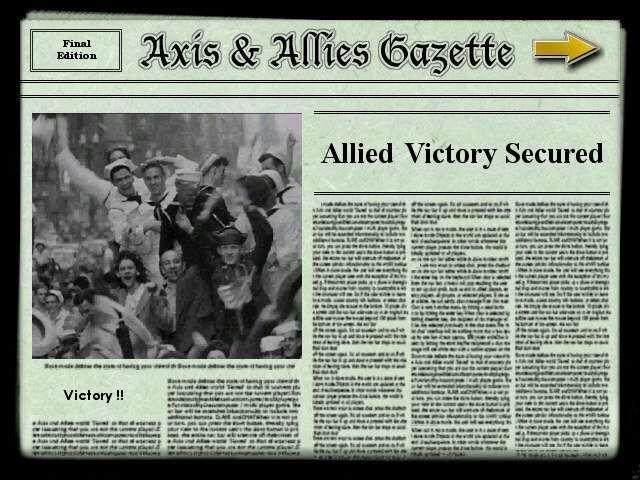 As Panzer General is to tactical combat with its fun and fast play, Axis & Allies is its counterpart with grand strategic operations. 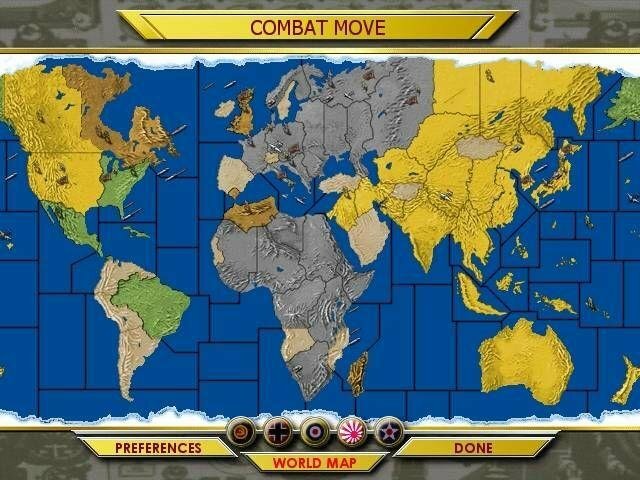 The game’s presentation is bold, colorful and in keeping with the boardgame. The unit pieces have been given the look of miniatures. 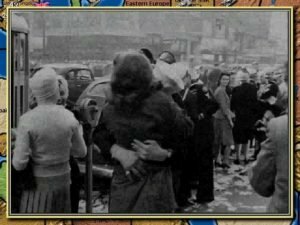 Black and white period footage as well as animated scenes highlight world and combat events. The sound effects of exploding shells, diving planes and rushing tanks are delivered on cue. 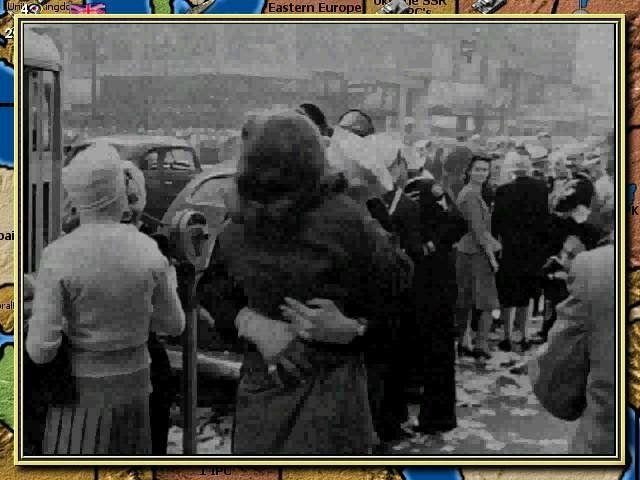 A nice touch is a newspaper style recap at the end of each round that tracks each nation’s progress through the game. There are critical oversights, however. Carriers that engage in naval combat, for example, may not be able to land planes later in the turn. 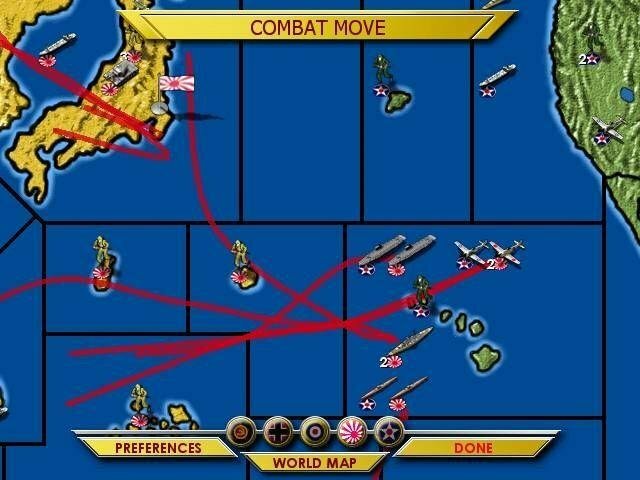 AI controlled planes inexplicably park in an ocean zone and sit there for the rest of the game. The U.S. and Japan will frequently purchase large numbers of submarines that are never placed into play. 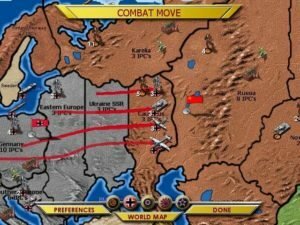 Rockets developed through weapons research may not be placed in territories with AA guns. Crashes are also very frequent in multiplayer, as if the entire code is bug-ridden. 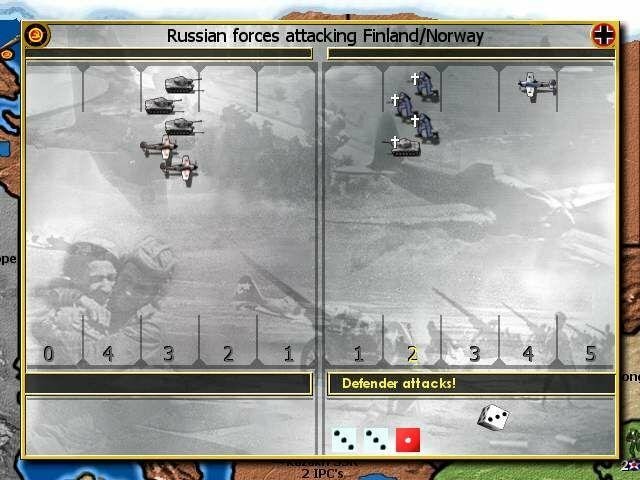 Overall, the game is an admiral representation of the tabletop version, but is all the same too buggy and rushed to be fully enjoyed by veterans, and at the same time too complex for most casual strategy fans. 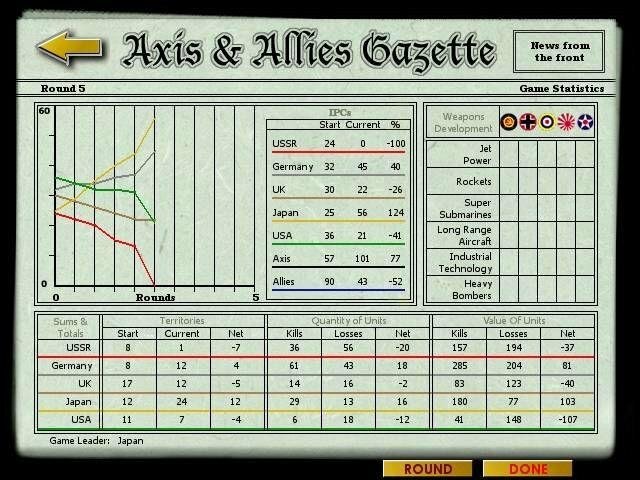 hey, do you know where I can find a download of axis and allies iron blitz 1998 or 1999? I read online that they fixed the glitches from the original game and improved it.